That is the mantra of Anne Wadsworth, Founder and Executive Director of Girls Education Collaborative (GEC), a non-profit working in developing countries to help spur community focused initiatives that advance girls education. Never imagining that she would found a non-profit, Anne first became exposed to the issues surrounding girls education when she went back to school to get a Masters in Public Administration at Syracuse University. Anne found herself in a course titled “Girls Education in Developing Countries”, taught by Catherine Bertini, and it was here that Anne had her “Aha!” moment. It was through this course that she began to understand the incredible barriers that often exist between girls and their education, and how educating girls is a human rights issue that impacts entire communities. Armed with this newfound knowledge and passion, Anne decided to do something about this pressing problem, the result of which is GEC. 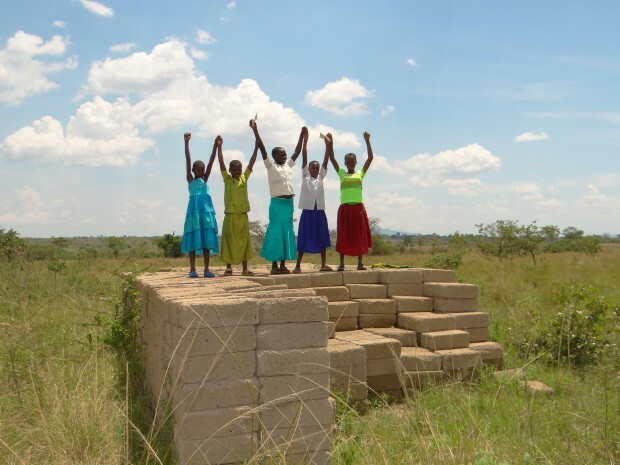 Founded in January of 2012, GEC is currently working with the Immaculate Heart Sisters of Africa in the village of Kitenga, Tanzania to build a boarding school capable of enrolling 1,500 girls ranging in age from pre-K through secondary school. Built on 1,000 acres of land donated by the Tanzanian government, the school will contain dorms for both the students and the teachers, science labs, classrooms, a guardhouse, and a library that is to be built in the memory of environmental attorney Alice Kryzan. Some of the buildings have already been built, with the whole project hoping to be completed in January of 2015 pending the completion of fundraising. Although the Kitenga Village Project is the primary project currently underway for GEC, the organization has been set up to facilitate additional projects in the future. Serving as both a fundraising and a resource portal, GEC’s mandate is specifically rooted in collaboration, working within communities, and sharing knowledge among experts. As Anne says, GEC is not about re-inventing the wheel, as they want to work with other experts to help improve opportunities for girls and bring high quality education to villages like Kitenga. Sadly, for many of these small rural areas, there’s no other alternative, a situation that may be hard for Westerners to wrap their head around, but only seems to make people like Anne work harder. Which is amazing, because when it comes to girls’ education, there really is no time to waste. Previous Post Why Do We Need International Women’s Day?